The atmosphere on February 2, 2019, promises to be particularly romantic. This day may result in unexpected declarations of love, the emergence of new fans, the return of former second half, or the revival of passion within a long marriage (novel). Saturday is not best suited for cases involving hard work, calculations or routine. In the evening it is possible for the emergence of fresh ideas related to the financial sector. .
Aries are recommended to spend February 2 away from home. Remember everything you know about active winter leisure. Games in the air, skiing from the mountains, and many other options are at your disposal. 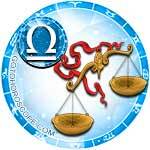 The sphere of feelings and emotions may require special attention on this day. There is a risk that a regular partner will become jealous, or your best friend or relative will be accused of indifference. Today, experiments with style and change of hairstyle are not welcome. 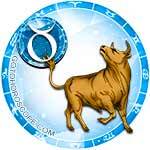 Some Taurus on this day will make many trips. To prevent travel time from becoming a source of stress, choose the to be the role of a passenger. It is recommended to pre-charge the phone and take along a paper book (or other sources of information). Towards the evening, it may be necessary to answer someone's provocative question. In order to not find yourself in an awkward position, avoid even a hint of something that could lead to this situation (that is, diligently move away from confidential dialogues). 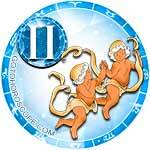 Gemini can spend the Sabbath fun and easy. Probably, the presence of close people, friends, or a loved one will contribute to such moods. It would not be bad if all the vivid impressions of this day are captured in numerous photos. You should also be careful in the process of meeting new acquaintances. It is possible that someone will deliberately try to put your vigilance to sleep. Watch your well-being (it may not be perfect). Some Cancers today will have a lot of time to do domestic affairs. Probably, besides cleaning, some really important questions will require attention. It is quite possible that a spontaneous home council will take place, on the agenda of which will be relocation, the new purchase of housing, the choice of a professional future for a relative, or other similar problems. In the evening, there's a chance that it will please a permanent partner who dreams for this chance to take place. 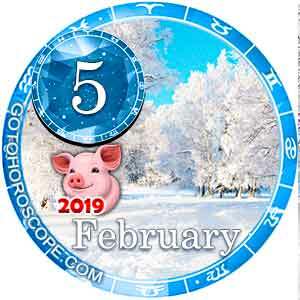 Leos on February 2, should not hunt the culprit of their unresolved problems. Negative thoughts can spoil your Sabbath. It may be better to postpone every problem and difficulty. Let yourself relax and have a lot of fun. Bright leisure consists of communication, travel, and meetings are recommended. Alternatively, you can organize a family event with the participation of relatives, friends, or neighbors. 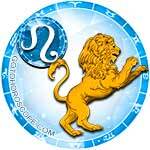 The energy potential of many Virgos on this day will not be too high. This is likely to interfere with the implementation of planned activities. It is recommended to spend the Sabbath relaxed and free of tedious work around the house, traveling long distances, and any kind of disassembly. Perhaps there will be a desire to be in silence, to enjoy your favorite compositions, to remain in a pensive state, or to work on a hobby that you have not been engaged in for a long time. 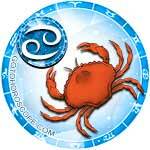 Libras are likely to be pleased with the character of this day. There is a chance that a major acquisition will be made on this day, and it will benefit the money for which you had to save for several months. 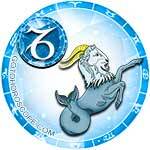 As for the interpersonal sphere, it also promises to be pleasant with tranquility and simplicity. However, don't forget that not everyone has the right to wear the proud title of "friend." Refrain from communicating with those who are clearly jealous or trying to use you for their advantage. 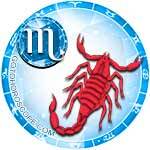 For Scorpios, this day can be quite exciting. Quarrels within the family, clashes with neighbors, or conflicts with employees of some organization are potentially included. To keep calm and positive, you can practice learning how to nip any germs of aggression in the bud. In the afternoon, it is recommended to visit the sauna or swimming pool (water treatments will be free from physical and emotional overload). You should also welcome any constructive leisure and business. 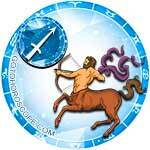 Sagittarius on this day is recommended to avoid hypothermia of the body by any means. When choosing an outfit for any outdoor event, it is better to give preference to warm clothes rather than stylish. In other aspects, the Sabbath promises to give a positive outcome. This includes the possibility of meeting with people who are considered to be like-minded. 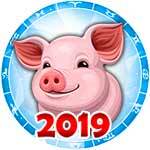 It is also possible that you will make a new friend or fan. 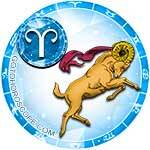 Capricorns on this day should think less and act more. IMost likely, the circumstances themselves will require that you show pressure and readiness to strike while the iron is hot. However, you should not forget about the feelings of loved ones. If the achievement of goals can harm any of them, the plan should be abandoned. Success is possible in love. If you are alone, look for your second half with the help of the Internet. 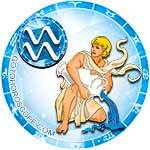 Aquarius, February 2is not allowed to divide people into good or bad. In fact, you can leave your personal opinion with you, tactfully pretending that you respect your interlocutor. In the afternoon, you can go shopping. There is a chance to get some useful things such as building tools or high-quality perfume at a reasonable price. In the evening you should be closer to your family. Some of them will probably need your support. 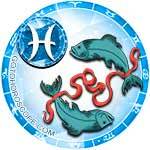 The mood of Pisces on this day may be playful. 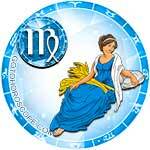 It is encouraged for this sunny optimism to be extended to others (in particular, to friends or relatives). However, it would behoove you not to forget about tact in the process of having fun (there is a risk that someone will not like the joke or jokes). The only limitation of this day will be shopping. Having gone shopping, you should only purchase the things that are most necessary. This will help avoid wasted costs.